US Hoteliers spend a lot of money sending direct mail advertising both within the US, as well as, to Canada and internationally. Mail-O-Matic can work with your hotel to find the best solutions to help reduce postage costs. When your database is processed according to Canada Post requirements and US Postal Service requirements you can receive as much as a 70% discount. Likewise, US hotels looking to reach out to Canadian consumers will benefit greatly from using a mail provider located in Canada. Using a mail provider that is located in Canada means that your hotel marketing campaign can save money by benefiting from our domestic postage rates. Ask a knowledgeable Mail-O-Matic representative about our full range of domestic and US delivery pre-sort mail options. Ensuring that your database list is up to date not only saves time and energy, it also saves money. An inaccurate database list will slow down the mailing process and waste money sending direct mail advertising to incorrect addresses. Mail-O-Matic has a full information services department available to help you make sure your database is as accurate as possible. We specialize in converting data files, organizing cluttered data, generating client reports, and maintaining mailing lists on site. For more information on all of our Database Processing Services, click here. Save money with volume rates! Sorting your mail outs into different categories will save you money because you qualify for special volume mailing rates. 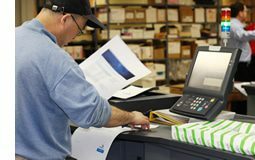 Mail-O-Matic offers a full range of presort mailing services for mail within the US and Canada. For more information on all of our Mail Sorting Services, click here. Direct mail advertising is part of a healthy marketing mix for any US Hotel. Mail-O-Matic’s bulk mail services can help your hotel stay in touch with past guests and attract future prospects. Contact Mail-O-Matic today and ask how you can get reduced postage costs for US hotels.